France, July 1935: Le Rayol, at the poor man’s end of the Riviera, seems a world away from the rumblings of a continent gearing up for war. Here, within its community of artists, expatriates and refugees, Tom Nash has rebuilt his life after walking away early from a career in the Secret Intelligence Service. His past, though, is less willing to leave him behind. A midnight intruder attempts to kill him, and Tom knows it is just a matter of time before another attempt is made. Gathered at Le Rayol for the summer months are all those he holds most dear, including his beloved goddaughter Lucy. It becomes clear, though, that one of them must have betrayed him. If he is to live, Tom must draw his enemy out, but at what cost to himself and the people he loves…? 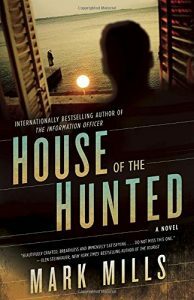 House of the Hanged is set in Le Rayol, a small village on the French Riviera. I have only been there twice. The second time was in October 2009, when I was researching the book. The first time was as a sixteen year old in 1980. I would never have gone there that first time if I hadn’t been robbed. I was backpacking through the south of France with my friend Anthony, and somehow – to this day I still don’t know how exactly – all of my traveller’s cheques were stolen while I was cashing one of them in at a bank near Cannes. Luckily, we were armed with a telephone number to call in case of emergencies; it belonged to the parents of a school friend of Anthony’s, who owned a house at Le Rayol, way to the west of where we were. They kindly put us up while I waited for my replacement traveller’s cheques to arrive, and as a result I got to spend several days on that dramatic stretch of the Côte d’Azur, with its soaring hills backing the coast, and its looping bays of bone-white sand and turquoise water. 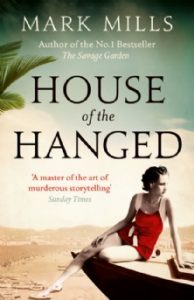 In many ways, House of the Hanged is an amalgam of this distant but vivid memory and a book I adore: Jigsaw by Sybille Bedford, one of the finest (and most underrated) writers of English prose. Jigsaw is a biographical novel about growing up in the south of France in the 1920s. The world she paints is one of exiles from the four corners of Europe – writers, artists, ne’er-do-wells – who find themselves thrown together in Sanary-sur-Mer, a small port to the west of Toulon. Read it. It’s exceptional. As is everything she wrote.